I am a speaker and board-certified music therapist whose passion is achieving therapeutic goals through making music. I’ve been quoted in the Wall Street Journal, facilitated drum circles with the US Surgeon General, and I’ve built a company starting with ZERO… that fills my soul, my bank account, AND my philanthropy. Contact my team to discuss keynote topics and rates. By the way, I skype with university students for FREE. Contact me to schedule a date asap. I run a 90-Day Activator program for business owners. The program is a basic business training, built on the idea that a therapist can leverage therapeutic strengths to actually improve his/her business. I created the 90-Day Activator because when I started my business, I had to figure it out on my own. It seemed like the more outreach I did, the more lack of education and lack of funding I discovered. Plus, I didn’t have time to leverage my strengths, yet I didn’t have enough funds to hire someone to provide relief for ALL the tasks that needed to be done. Based on hundreds of interviews with business owners, 10 years as a private practice owner, sculpting out a strong team of 6, and using my company to provide continuing education to 3,000+ healthcare professionals online, I created the 90-Day Activator. Learn more about the 90-Day Activator here. I am the Founder of Music Therapy Ed, a website that has served more than 3,000 people in taking their practice to a new level. Built on the belief that music in healthcare saves money, has no side effects, and produces surprisingly amazing results, we offer 20+ courses on a variety of topics with the highest quality video instruction from the most world renowned music therapists on the planet. Topics include: drum circle facilitation, guitar skills, piano improvisation, insurance reimbursement, marketing, hospice, autism, blind and deaf, *ethics* (as required by CBMT), and more. Sign up for a Music Therapy Ed course today! Looking for a once-in-a-lifetime retreat experience? Amazing team builder? Or are you a Life Enrichment Director for a retirement community? Perhaps you are looking for music experiences for kids and camps? 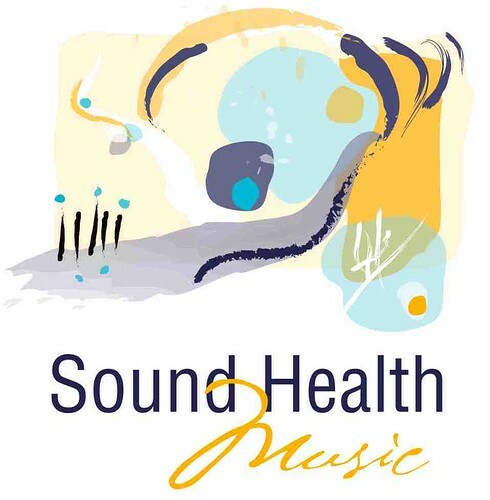 Sound Health Music is an organization that encourages, enables, and empowers people to develop potential through music experiences.